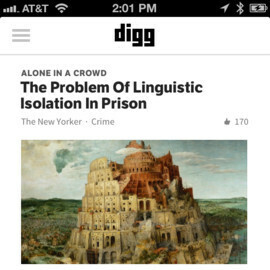 Digg's alternative to Google Reader is almost ready, it seems, since the iOS app now integrates the brand new RSS reader, which is still in an experimental stage. The good part is that you can directly import your feeds from Google Reader, just what Feedly offers, so you'll be all ready when Google Reader shuts down next Monday. By that time Digg might very well have taken the desktop and Android RSS service versions out of the beta dungeon, too, and there are a number of other companies that are developing RSS solutions to grab a piece of the reader pie in their turn.